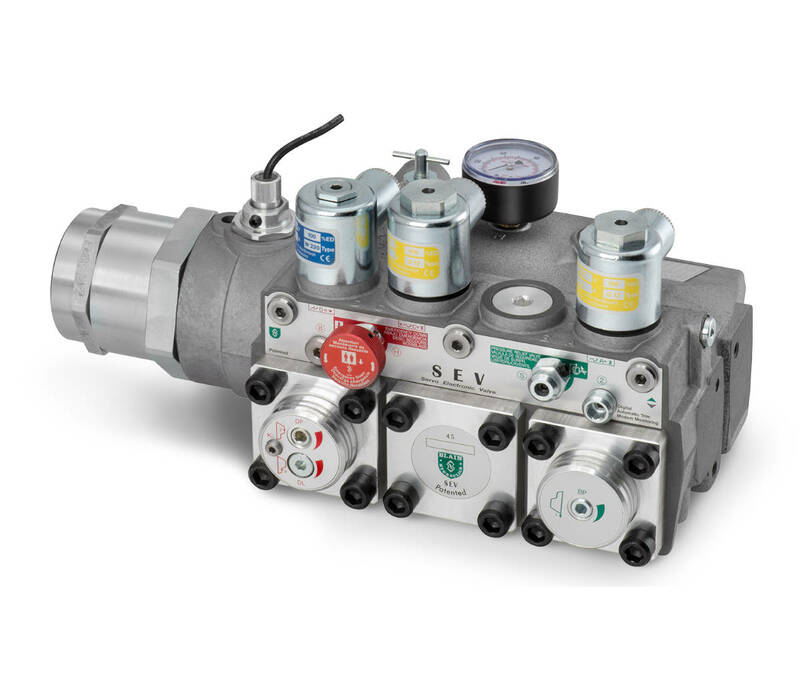 The Blain Servo Electronic Valve (SEV) is controlled by closed loop digital electronics, providing consistent acceleration and deceleration of hydraulic elevators largely independent of load and oil temperature. An electronic card regulates the perform- ance of the car via variable-flow solenoid valves. 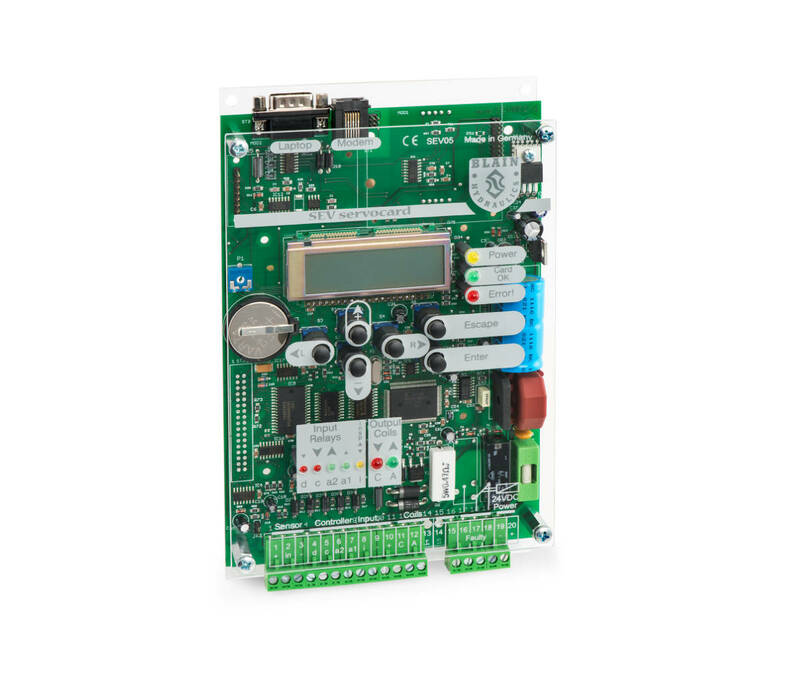 The elevator operation can be monitored, recorded and adjusted by a laptop computer either on site or remotely through the modem connection. Optionaly, the electronic card can be used to change data. Additional intermediate speeds for maintenance runs can also be programmed.